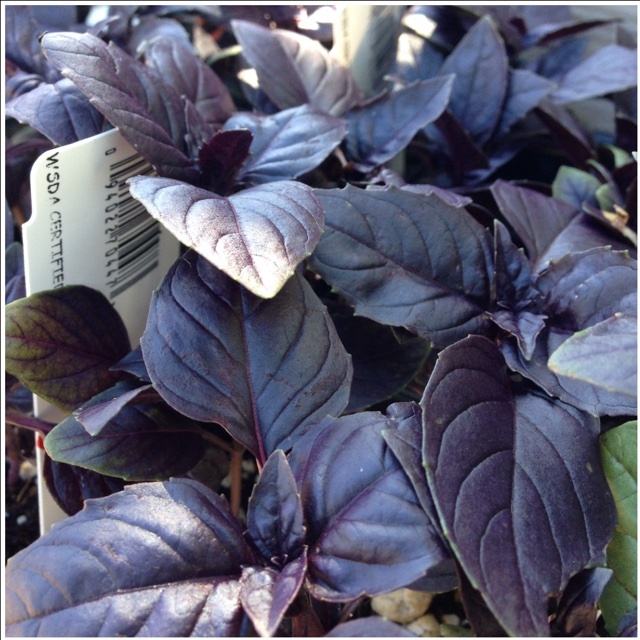 Opal basil leaves are egg-shaped with sparsely toothed edges and a variable purple to burgundy color. The color of the basil intensifies with maturity, although variegated green leaves are considered normal in Opal basil. This hybrid basil variety has a slightly stronger anise flavor than the common green sweet basil, with mild ginger undertones and a potent aroma. Opal basil is considered savory when compared to the standard sweet basil and is used for it flavor and color alike. Opal basil is available year-round. Opal basil, botanically known as Ocimum basilicum purpurascens, has two varieties that have been chosen as All-America Selections winners in 1962 and 1987. 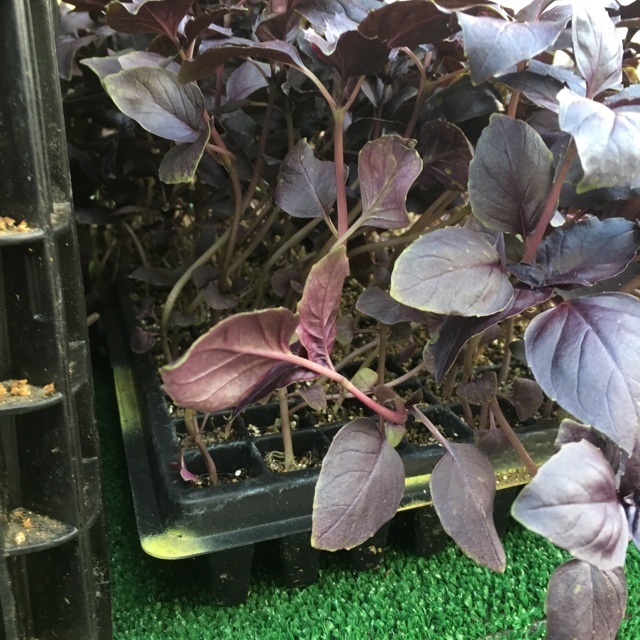 Opal basil's deep purple color can be used as a food grade dye for both edible and non-edible products. Opal basil has a compound of vitamins and minerals that make it a powerhouse of anti-inflammatory properties. 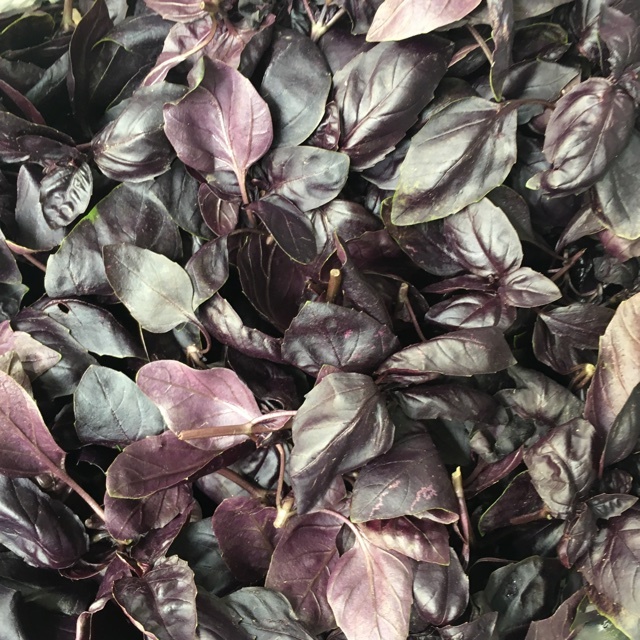 Unique to the Opal basil variety is the addition of anthocyanins, which are currently being extensively research and discovered to be of particular value to human health. Opal basil leaves make aromatic infused vinegars and oils. The dark color leaches into the infusing vinegar, leaving it a beautiful shade of burgundy. Make a purple pesto or use the leaves as a garnish for desserts, salads, pizza and pastas. Opal basil can replace green varieties in caprese salads and most other recipes calling for standard sweet basil. 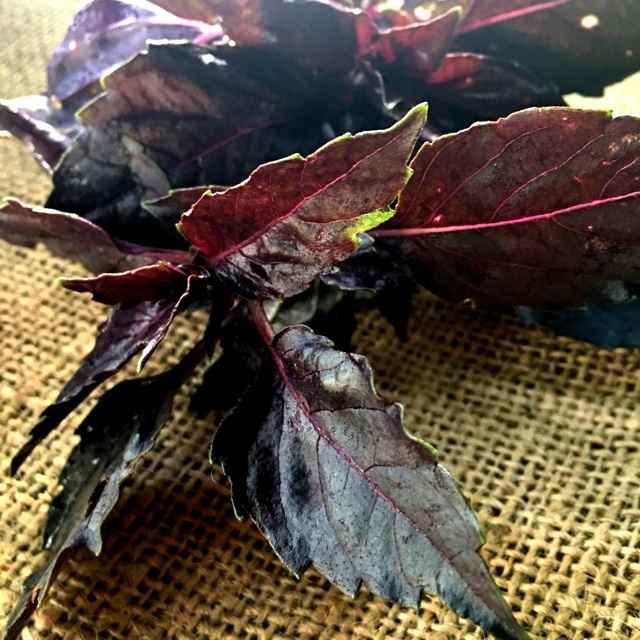 This purple basil can be used fresh or dry; it can also be frozen for future use. Opal basil can lend flavor and color to many culinary pairings, including Thai, Vietnamese, and Italian. Opal basil was first discovered in 1830 by George Bentham a British botanist. Since then, many varietals have been introduced. 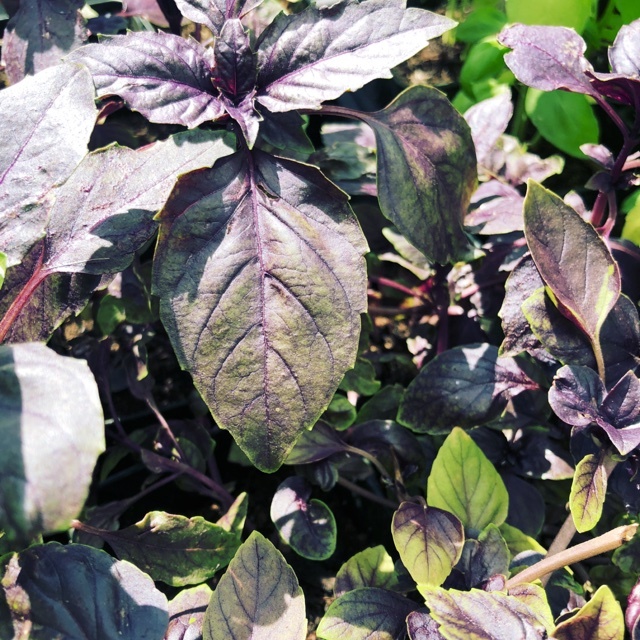 Purple basil crossbreeds rather easily with other basil cultivars which allows for a great number of varietal changes. 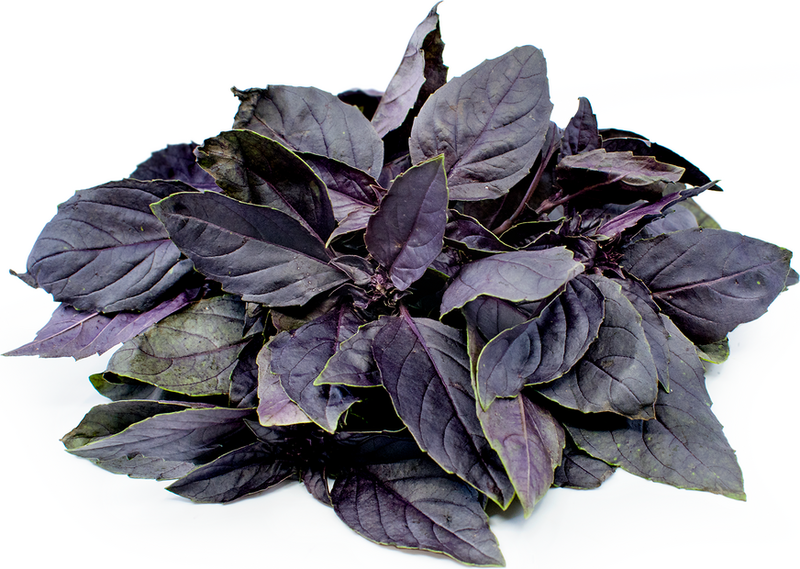 The Dark Opal basil variety was developed at the University of Connecticut in 1950. Opal basil is grown both for ornamental and culinary uses; it grows best in the summer heat. Recipes that include Opal Basil. One is easiest, three is harder. 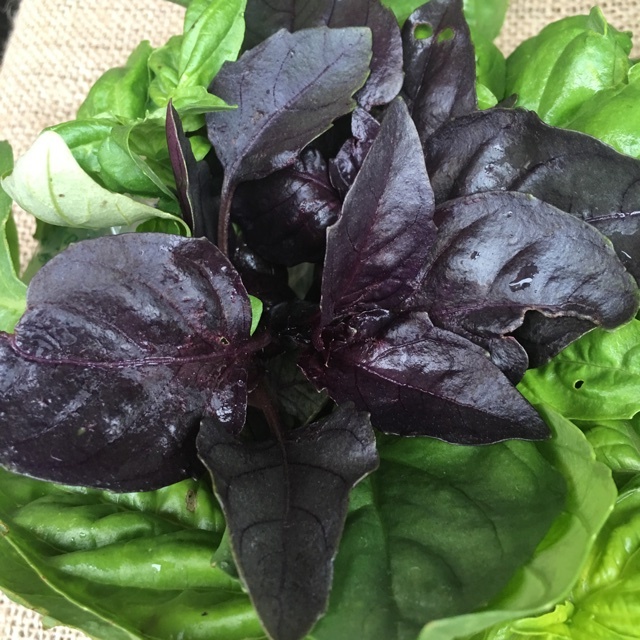 People have shared Opal Basil using the Specialty Produce app for iPhone and Android. Sharer's comments : Smells wonderful! Sharer's comments : Opal Basil spotted at Issaquah Farmers Market. Lovely! Sharer's comments : Opal Basil spotted at Brentwood Farmers' Market. Gorgeous. 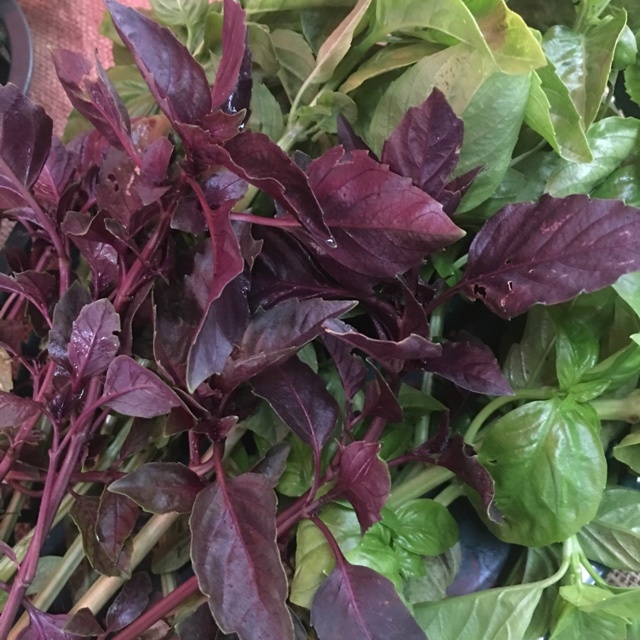 Sharer's comments : Opal Basil spotted at Little Italy Mercato. 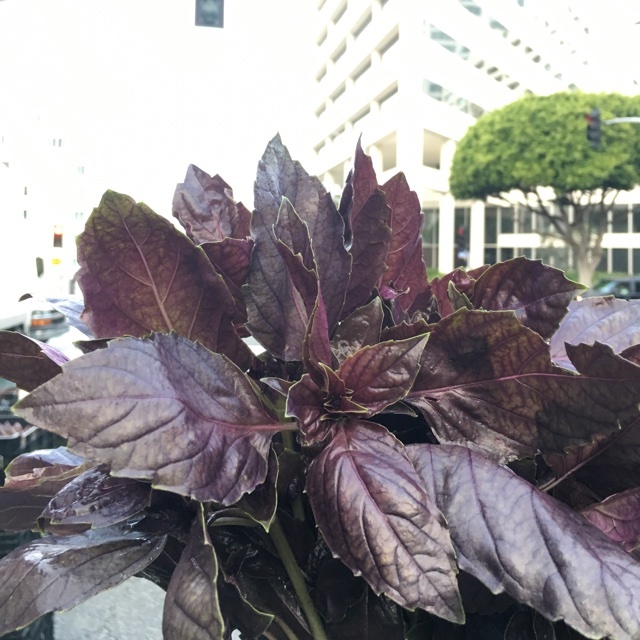 Sharer's comments : Opal Basil spotted at Santa Monica Farmers Market. 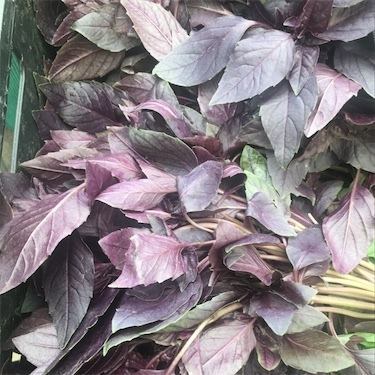 Sharer's comments : Opal Basil spotted at Santa Monica Farmers Market. Mid season from Thao farms. Sharer's comments : Opal Basil spotted at Whole Foods Market. Lovely Opal Basil starts for your garden, a colorful savory basil variety!